Any outdoors loving person knows that a good bug spray is essential for a hiking or camping trip. But those who do their research may also find that commercial bug sprays have a ton of proven side effects, which just aren’t worth the risk and they can get expensive when you spend a lot of your time outdoors. Despite the fact most of us turn to essential oils only when we need them for a cold or another ailment, they have a great effect on other things, such a keeping the creepy crawlies away from your home or body. 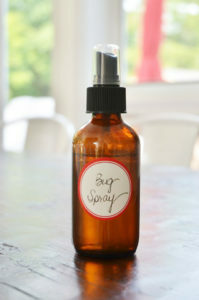 If you get bitten by all the bugs in the neighborhood and want to figure out a natural way to stop them, this essential oil bug spray article will help you out. Essential oil bug spray is derived entirely from natural ingredients . It’s easy to make, and can be made at home; all the ingredients you need are available from aromatherapy stores or online stores. With all the chemicals and artificial ingredients found in commercial bug sprays, making your own from essential oils is a good option. Just because the essential oils are natural, doesn’t make them any less effective at killing bugs. 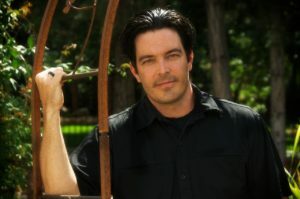 The recipes contained in this article don’t contain harsh chemicals that aggravate the skin, and they also smell good. You’ll feel like you’re wearing perfume rather than bug spray, and these recipes are all affordable to make too. 1 How does essential oil bug spray work? How does essential oil bug spray work? They go right back to ancient times, and their effectiveness has been touted and used by generations of people who wanted to avoid bugs. As plants grow, they encounter harsh environments and insect attacks that could jeopardize their survival. So naturally plants start secreting or developing a protective barrier that wards off insects and other harmful elements that may hinder plant growth. Because the oil’s being extracted from these plants, they make ideal essential oil bug spray. For example,one of the main ingredients in essential oil bug spray, patchouli, is known for its ability to ward off insects and has actually passed the test of several scientific studies in this field. Not only that but as an ingredient of perfumes, it doesn’t smell bad either. With homemade bug spray, you will no longer have to cover yourself in awful smelling chemicals to keep the mosquitoes away. This is not to say that there are no risks with creating your own bug spray by using essential oils. Especially on children, applying some of these oils directly to the skin could have damaging effects. This means that it is a wise idea to apply the bug spray to clothing or other nearby items unless you have thoroughly patch tested it and decided that there is no issue for you. Sensitive skin may not react well, so do take precautions. Different bugs call for different essential oils, and the recipes that follow will target specific bugs. That’s not to say that you can’t combine all of this into one huge bug-killing recipe, but targeting the pests that you find are actually near you is probably the wisest way to keep them away as far as it is well known. Essential oil bug spray recipe involve filling the spray bottle to halfway with distilled water, and then nearly to the top with witch hazel. Once filled, you can add the essential oils, which are the active component. Between 30-50 drops will be required, and sometimes more depending on how strong and effective you want the repellent to be. Depending on the bottle I try to maintain 2:1:1 ratio of distilled water,witch hazel and essential oil. Alternatively, you could add the essential oils to an unscented lotion and rub on the skin instead of spraying. Either way, the essential oils used in the below recipes can be mixed together to create your own unique bug spray, as all of them are effective at repelling bugs. All of these should be combined with carrier oils or lotions. This citrusy concoction is light on the skin, for times when you want to keep a few bugs away but don’t need anything too strong. It can be mixed with lotion for a great smelling moisturizer, or you can simply wear it as a summery fragrance that has a useful purpose too. It is most effective for use against mosquitoes. This peppermint based mixture is sure to keep every kind of bug away from you as you do your outdoors activities. To make the mixture easier on the skin, for children or people with sensitive skin, simply replace the Peppermint Essential Oil with Spearmint. For use against gnats, flies, fleas, and mosquitoes – plus virtually any other creepy crawly you can think of. With a savory, herb based scent, this bug spray smells practically edible. The essential oils of these herbs that we find every day in our kitchen are surprisingly effective repellents. Patchouli is widely known to be one of the most effective mosquito repellents around, and these herbs simply broaden its effectiveness to a broad range of bugs – effective against mosquitoes, fleas, and ticks. For the best smelling bug spray around, try this recipe. The mix of subtle scents are great against mosquitoes, plus this is a cheap way to make nice perfume. Effective against mosquitoes and gnats.